Superdry women's Leonie velvet t-shirt dress. 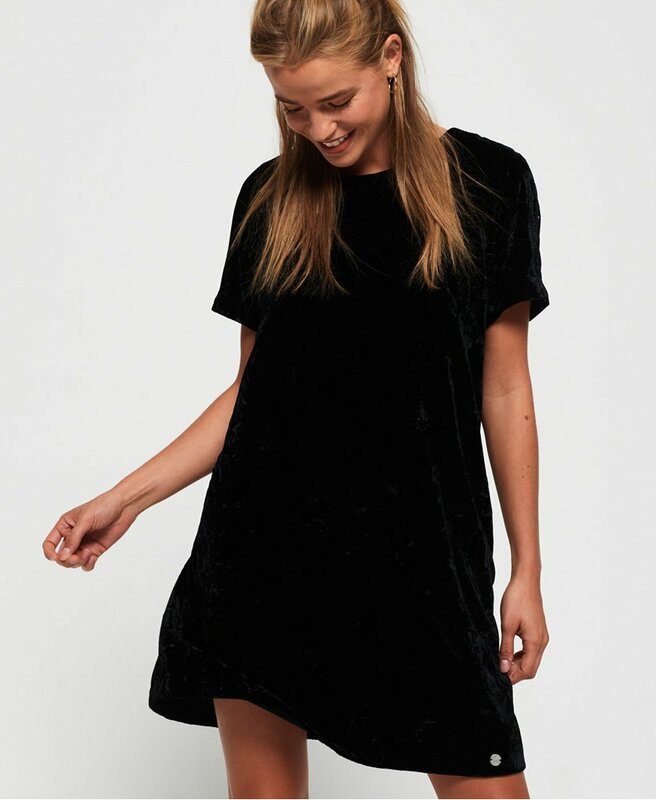 You can never have too many dresses, and the Leonie velvet t-shirt dress is the update your wardrobe needs. This dress features a rear zip fastening and is finished with a metal logo badge on the hem. The relaxed, t-shirt style makes this dress oh so versatile, why not dress down with trainers and a denim jacket or glam it up with a leather jacket and heeled boots.